Before the new UK Centre of the International Theatre Institute took shape in September this year, I’d long been accustomed to finding myself at ITI events in exotic locations as the solitary – and non-affiliated – Brit among hundreds of other theatre practitioners busy creating global theatre policy. Inevitably, this caused puzzlement among the ITI community – why would one of the world’s great theatre nations choose not to participate, why would it choose not to have a centre, particularly as the UK was a founding nation of ITI? Of course, there had been a centre (two in fact). But, foreshadowing the attitudes currently driving Brexit, the previous UK centre was removed from the scene in 2013 due to lack of leadership and lack of engagement – and its refusal to pay its contribution (like its predecessor centre in 1975). 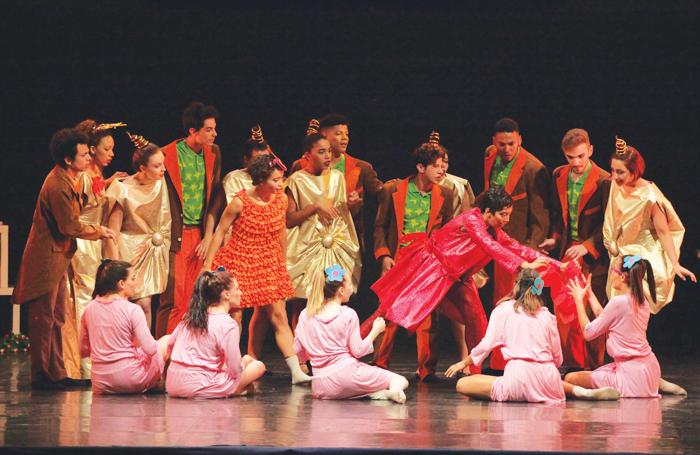 Though ITI overnight became a distant echo in our industry’s memory, interest has steadily regrown as people have been discovering for themselves the existence of the world’s biggest performing arts organisation. 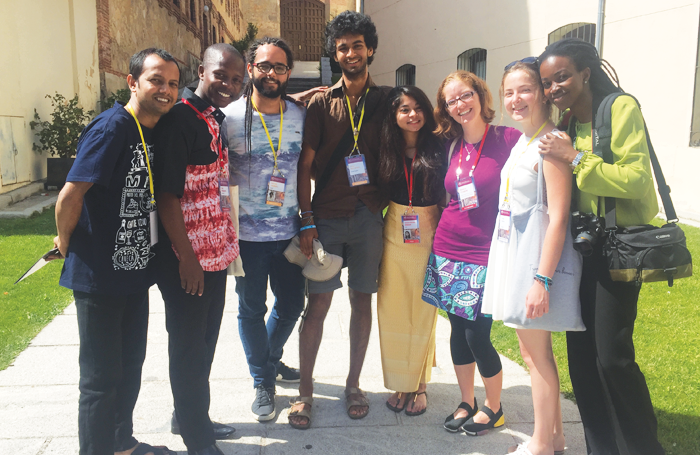 Handily, the theme of ITI’s 35th World Congress, which took place this summer in the evocative setting of a 13th-century former convent in Spain, was all about changing attitudes. And so I found myself in Segovia talking to director general Tobias Biancone about formally reintroducing the organisation to the UK by starting up a new centre with its base at Morecambe Fringe , a regenerative performing arts project I’d co-founded with my co-director Matt Panesh. Morecambe Fringe is based in the West End of Morecambe, a town with no theatre until 2017 when the fringe revived the Carleton Club theatre (formerly the Alhambra music hall) as a permanent live events venue. With its vision of theatre regeneration and year-round presence, the fringe is designed to work sustainably on community, national and international levels both within the industry and the wider public. Morecambe Fringe felt its concept would work as an umbrella for ITI, and the organisation agreed. So now the world’s youngest fringe and newest ITI centre are together under one roof. A core board has already been appointed and the hard work begins with fundraising, national consultation and establishing the case for ITI. The UK centre will launch fully during World Performance Week in March 2018 with an innovative networking website and a programme of events celebrating ITI’s 70th anniversary. Perhaps the ripples may not have fully reached our shores, but it’s clear that ITI’s efforts at Segovia represent a major turning point for attitudes in world theatre. For a start, you can imagine my joy at discovering the presence of two other Brits among the 700 participants at the congress. Tom Johnson had a good excuse to be there – a Chinese speaker, he now works as project officer for the ITI general secretariat at its newly established headquarters in Shanghai (having translocated from UNESCO in Paris). The appearance of student Fin Ross Russell was a little more unexpected, since somehow he had found his own way to Segovia. 1. The International Theatre Institute is the world’s largest performing arts organisation. It has one centre per country (except Belgium, which has two), most of which form sector/policy groupings that reflect their geographical regions. There are 15 internationally active project groups. 2. ITI works with what it calls cooperating member organisations such as the Professional Association of Canadian Theatres, Australia’s National Institute of Dramatic Art and its Short+Sweet Theatre, and India’s National School of Drama. Partner international organisations include the European Federation of Professional Circus Schools, the International Music Council and the World Mime Organisation. 3. ITI also has globally reaching projects in development such as the relaunch of the Theatre of Nations festival, the creation of a World Performing Arts Capital with UNESCO, and the Network for Higher Education in the Performing Arts. 4. ITI celebrates its 70th anniversary in 2018. Planned events include an expanded World Theatre Day on March 27 at UNESCO in Paris and International Dance Day on April 29 in Havana, with events in the Czech Republic and Mexico, an international festival in Vietnam, a week of activities in Africa, and a final celebration in China. 5. ITI does not fund its centres and most are hosted by existing performing arts organisations, national theatres or universities. The UK centre’s partner Morecambe Fringe is an umbrella group for a range of festivals, events and activism. UK ITI’s policies and direction come from an independent board of practitioners drawn from across the sectors and regions. Of the six official UNESCO languages, aside from English, the board speaks Arabic, French, Russian and Spanish – and hopes to add a Chinese speaker soon. Ross Russell is in his final year of a BA (hons) in drama, applied theatre and education at the Royal Central School of Speech and Drama. Outside his studies, as writer and producer he has collaborated on community theatre projects overseas. Stepping into that international environment for a young proactive practitioner is a no-brainer, says Ross Russell. “It’s ironic that we’re in a world that is incredibly globalised and connected yet also increasingly insular. Particularly in the UK where we are still coming to fully understand the final effects that Brexit will have, it’s difficult for many young British artists to understand and therefore establish their place in the world. 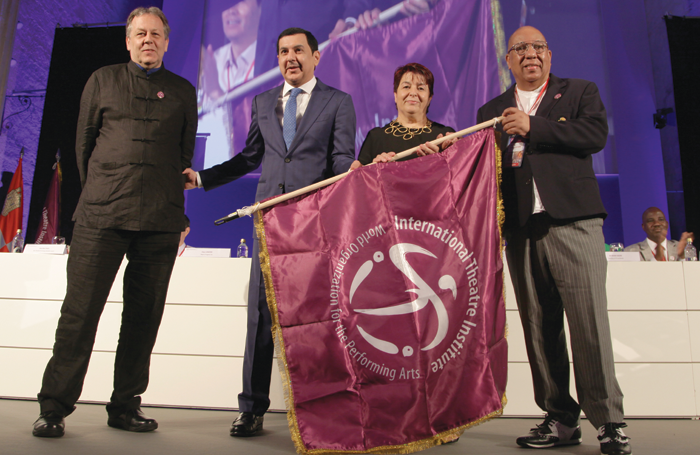 This summer’s world congress was designed to give ITI the platform to reflect on precisely these ideas, which represent the values and goals inherent in the organisation. The result was a very public reboot to ensure ITI’s relevance today – and the participation of people like Ross Russell showed the way in which that relevance can continue to engage and adapt. Along with the meetings, workshops and networking opportunities in Segovia, there was a parallel dance programme by the International Dance Committee in nearby La Granja and a three-day student festival of the ITI/UNESCO Network for Higher Education in the Performing Arts. There were also shows in various genres brought over by national centres, including a Slovenian Madame Bovary, Chinese opera and Shame, an Israeli/Palestinian political piece. Another highlight turned out to be the daily micro- performances devised by the young practitioners’ programme (rebranded as ‘emerging arts practitioners’), which unintentionally transformed itself into ITI’s first ever fringe. A feat all the more remarkable when you consider that most of ITI’s member countries do not have fringes. It’s that global network access that strikes gold for any practitioner, which Ross Russell discovered first hand: “The congress was a hive of activity. Theatre professionals were coming from every corner of the globe en masse and descending on Segovia. “As somebody who was new to the work of ITI, it felt intimidating at first to step into everything with no knowledge of how the congress worked. However, everybody became quickly familiar with each others’ presence and each others’ work. Ross Russell has now joined UK ITI as its young practitioners’ representative thanks to his key contribution at Segovia in framing the Network of Emerging Arts Professionals. 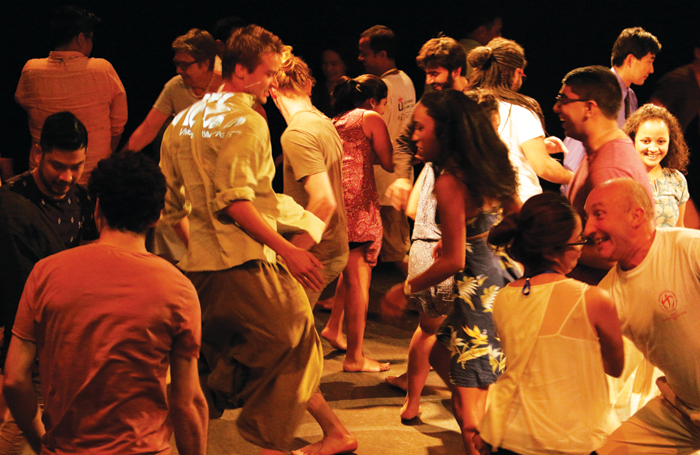 The network is communicating with other ITI committees and centres to organise projects that include festival performance slots, artistic residencies and cultural exchanges. Its debut festival, exclusively for emerging artists, is set to take place in Brazil in 2018. In 1980, when I was out of a lucrative publishing job and desperately looking for something to do, Michel Julian gave me shelter in the UK International Theatre Institute’s Covent Garden office, home to a number of theatrical initiatives including Theatre Quarterly. A young student at Central, Deborah Warner, was a volunteer at the time, stuffing envelopes for fundraising appeals while in the process of setting up her Kick Theatre Company. Michel, who died nearly a year ago, had an amazing talent for making something out of nothing: for my first ITI Congress, in East Berlin in 1983, I found myself part of a large, self-funded UK delegation that made its mark on many of the active committees that were then at the institute’s heart. We were subsequently able to lead on valuable international initiatives such as the World Theatre Directory and the biennial survey World of Theatre. In the end, the centre’s meagre funds ran out and Michel was replaced, at the suggestion of Arnold Wesker, by Neville Shulman, whose business acumen and wide network of contacts in the arts enabled us to survive for another decade. The annual Awards for Excellence in International Theatre and Dance gave the centre some profile, but it failed to achieve a real place among British theatrical institutions. We were constantly in search of new members for the board, but talented theatremakers took one look at the centre’s inactivity and lack of influence and walked quickly away, leaving the few remaining members ever more isolated. When I made the mistake of suggesting to Shulman that his devoted service had achieved enough, and it was time for him to step down, he reacted furiously and it was I who had to leave. British ITI was by then something of a one-man show, with Shulman sitting on the institute’s executive committee and travelling the world as chair of its dance committee. When he failed to obtain re-election to the international governing body, the UK centre to all intents and purposes closed its doors, and lost its ITI membership in 2013. It was a surprise, then, to discover that the Excellence in International Theatre and Dance awards are still being handed out, this year recognising figures including Royal Court artistic director Vicky Featherstone and choreographer Matthew Bourne in a ceremony at the Dorchester. They are now apparently in the gift of an organisation called the International Institute for Dance and Theatre (director: N Shulman) and presented on World Theatre Day, March 27. Readers might be interested to access the website at worldtheatreday.com, to find that it’s an organisation “supporting the national and international theatre and dance community 365 days a year” and organises the awards on ITI’s big day. It’s directed by one Alon Shulman, an events organiser, and has no ITI affiliation. Now we have a British ITI centre once more, fully affiliated to ITI and therefore UNESCO. It remains to be seen whether it can find its rightful place as the UK’s focal point for international theatre initiatives, incoming and outgoing. I shall be crossing my fingers.